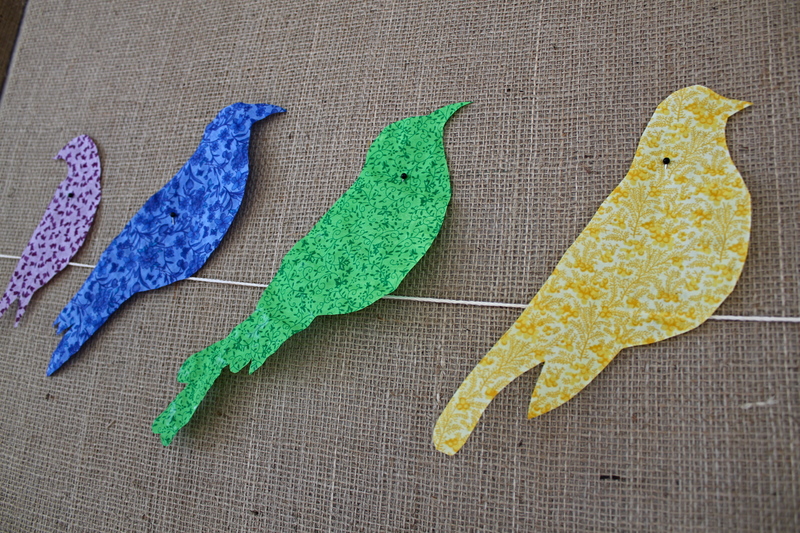 Decision time – butterflies or birds for my burlap canvases? | Hey Bernice! Many would describe me as having a ‘thing’ for butterflies and birds. Previous ramblings featuring birds and butterflies are testament to that. Before making a decision between these two beautiful creatures, I wanted to see what they looked like on the canvases, so created them both in a kinda draft format (so excuse all the pins holding everything onto the canvas). What if I am overestimating how many of you there are, or even worse, how much you care about my burlap canvas? 1. 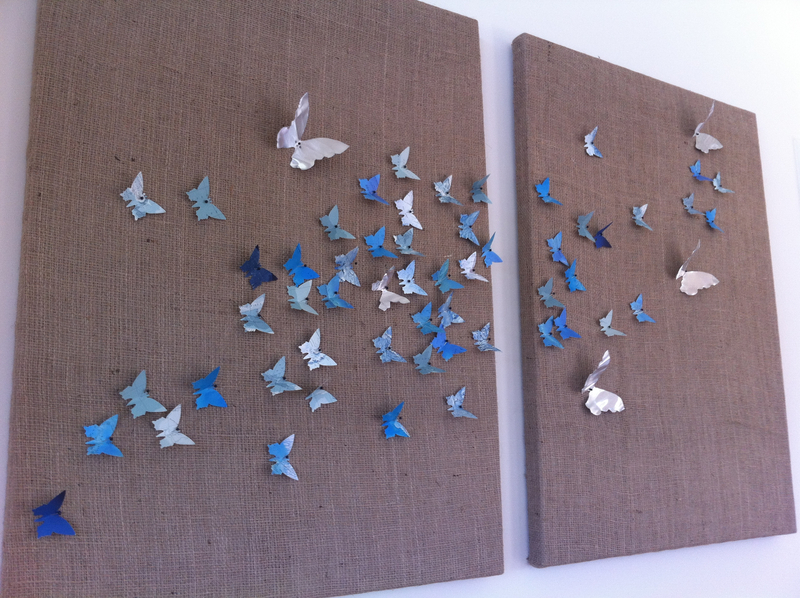 Butterflies – I completed the first option at Christmas and took photos of it. 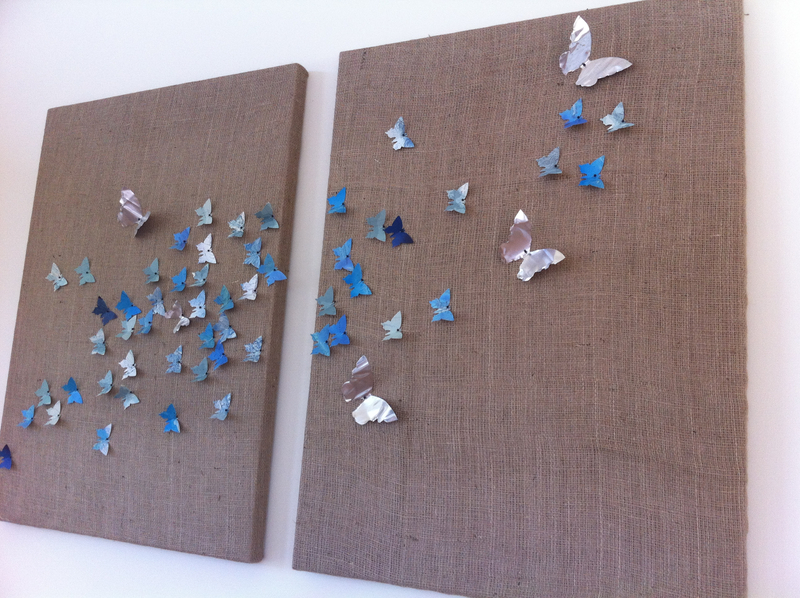 I used a butterfly-punch to cut butterflies from old atlas pages, then pinned them onto the canvases. 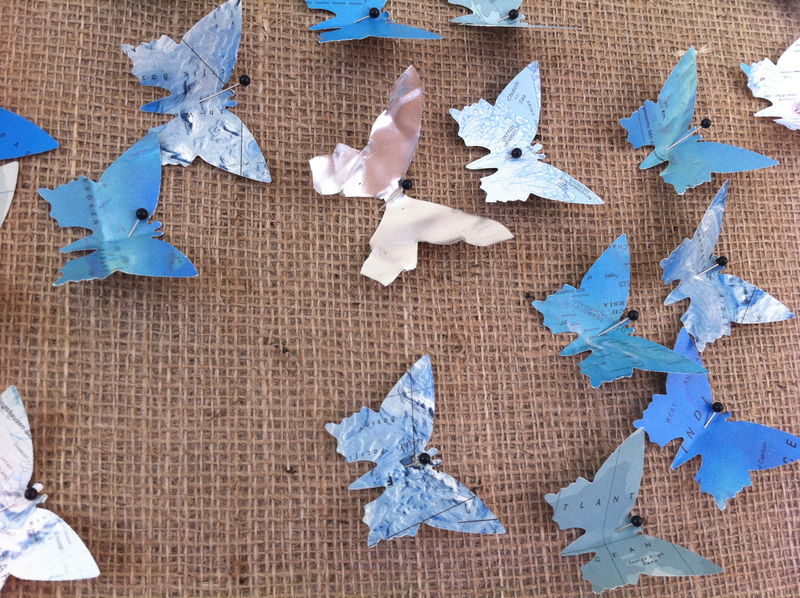 I did add a few metal butterflies (which I hand cut), for a little interest. 2. 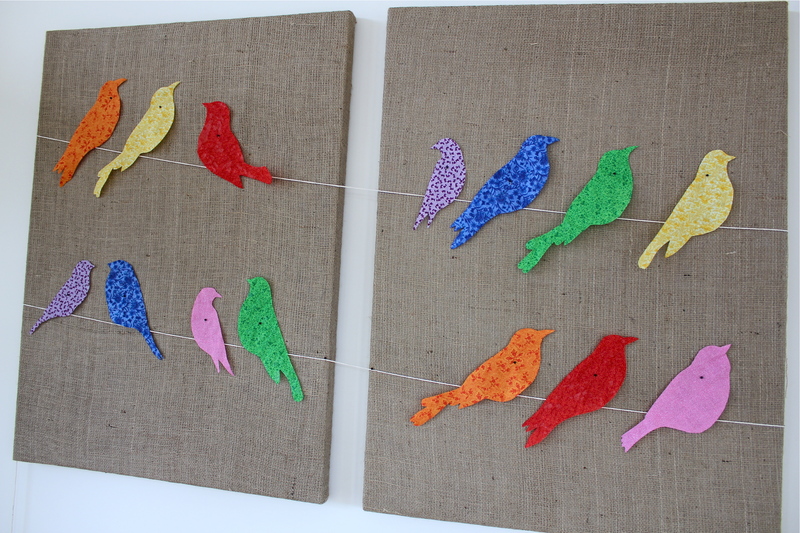 Birds – I completed these last week. I chose some very colourful quilting fabric. Then painted the back of the fabric with craft glue (to stiffen it, and to allow me to cut the fabric without it fraying – once it was dry). 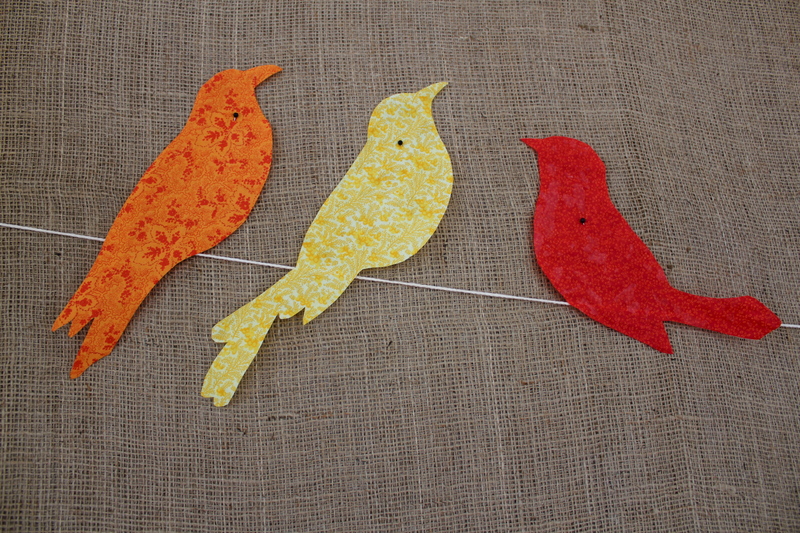 I got my bird inspiration from some stencils pinned on my Crafty Ideas board on Pinterest. Surprise me, and cast a vote… but more importantly help me decide what ends up on my wall! I choose the butterflies too! Gorgeous! The butterflies seem to be getting the votes – thanks. 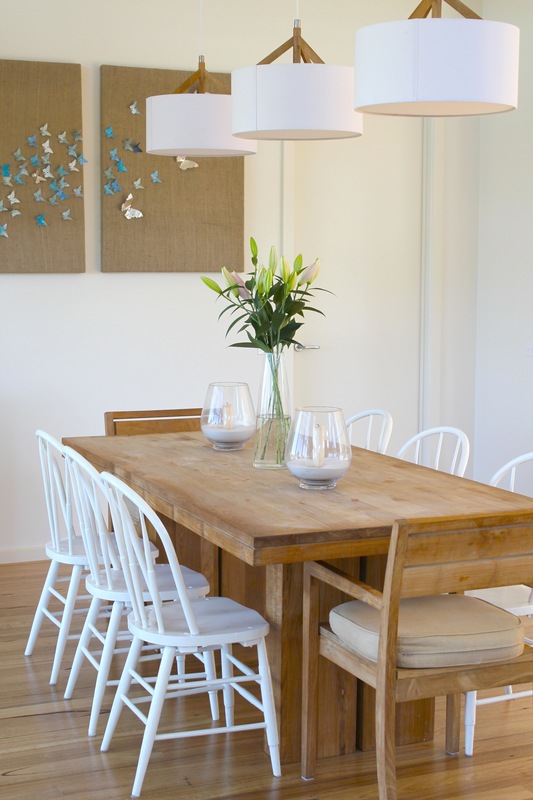 Definitely butterflies – there are more than enough birds for one house in Heidi’s nursery! The butterfly punch is made by Sullivans. I’m not sure if they sell online, but they might list stockists on a website! Good luck hunting it down.